Learn to tell time from a wise old owl! 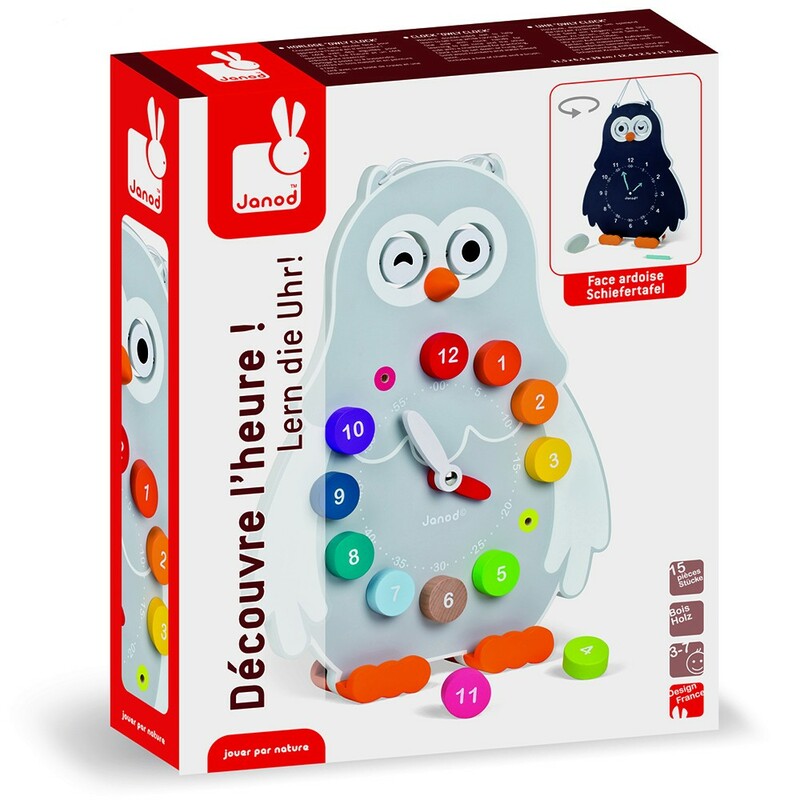 Janod Toys is a leader in wooden toys that help children to learn and express their creativity. This Owly Clock is no different! 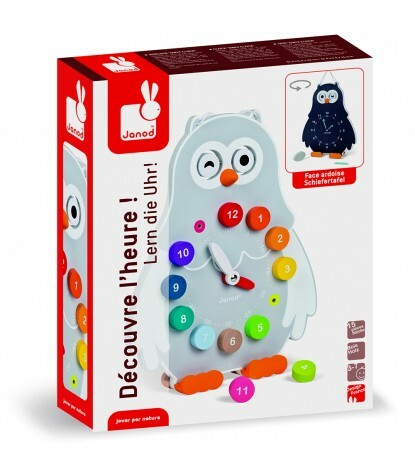 Children can learn to tell time, count numbers, and use color association with numbered wooden pegs that can be placed on one side of the owls clock face. On the reverse side, chalkboard paint allows for children to draw and practice the different times of day. Plus many more great features for early learning. With the Janod Owly Clock learning how to tell time is effortless! Set Includes One (1) Piece of Chalk, and One (1) Eraser.